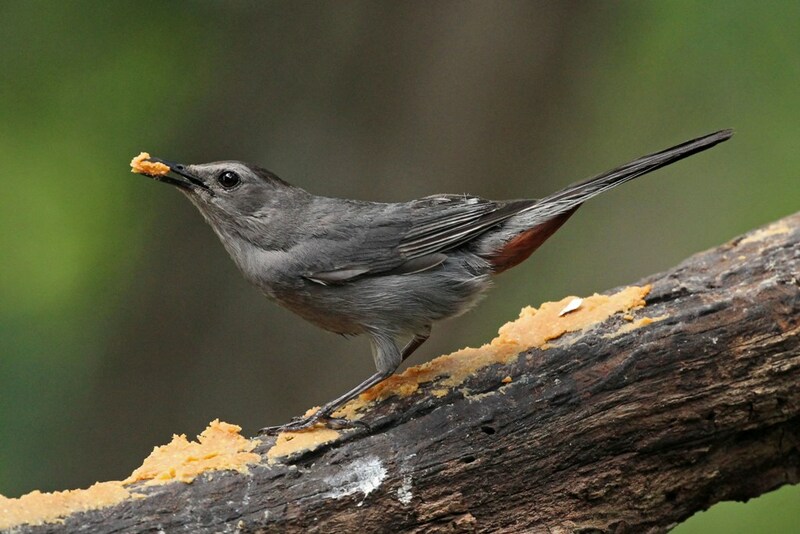 The Grey Catbird is an occasional visitor to my backyard. Like his Mockingbird cousin, he is a mimic with a hearty collection of calls, the most common being the mew-like sound of a cat from whence he gets his name. 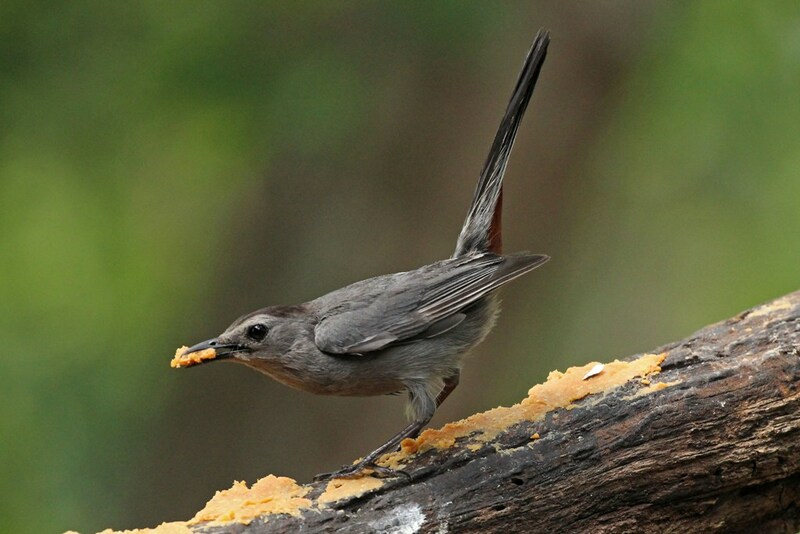 This bird has an appetite for insects, berries, and of course…Bark Butter. Though some might consider this monochrome mimic rather drab, he does have a dash of rusty red feathers tucked beneath his tail. Personally, I’d say this fellow with the fancy fanny is actually quite dashing! This entry was posted in Backyard Birds and tagged bird feeding, bird watching, birds, catbird, creativity, hobbies, nature, photography. Bookmark the permalink. 9 Responses to Drab or Dashing? I love our dapper backyard neighbors. 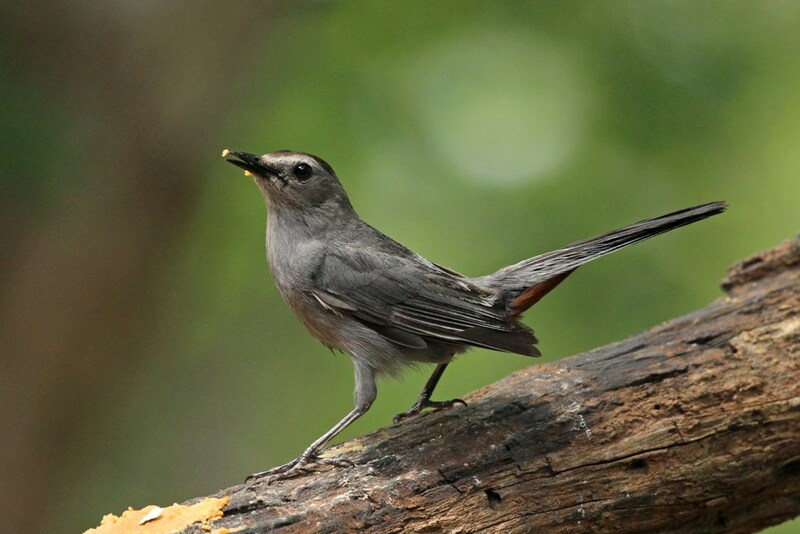 the catbirds, who sport chic black berets, & rakish reddish rears, & lay beautiful azure blue eggs after mating. They mew & meow & sometimes caterwaul from dense foliage spring evenings & summer dusks. They will be off south in a few weeks to my old South Florida backyard, where they arrived annually the years we lived there October 4th (I kept a log). And I will miss them here in Asheville all winter & anticipate for their welcome return late next April. Rakish reddish rears – love it! Fancy Fanny is pretty apt too! 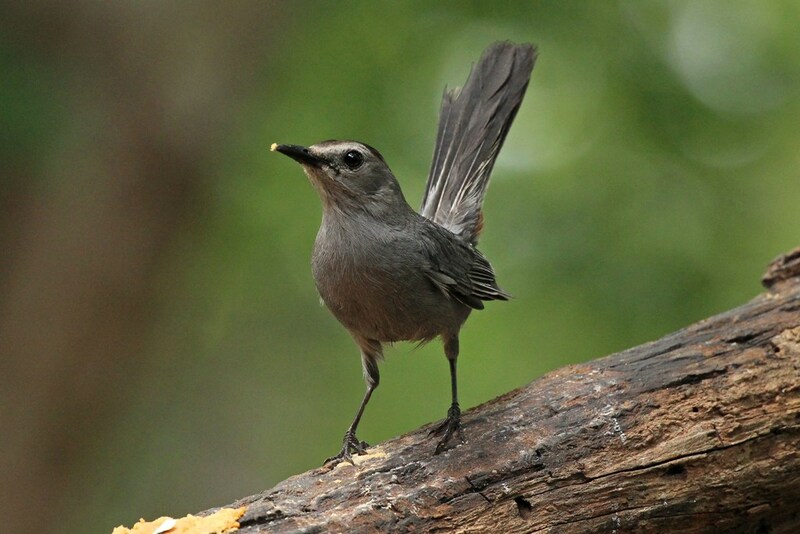 Wonder why catbirds flaunt such flashy underfeathers? And he holds that tail up at a jaunty angle, so you can see those fancy pants red feathers too! The first time I saw this bird, I thought I was looking for the cat in the bushes, lol. Great shots, love seeing a flash of that rusty rump! Your shots show off his dashingness!! I’m a big fan of these guys. Nice photos!